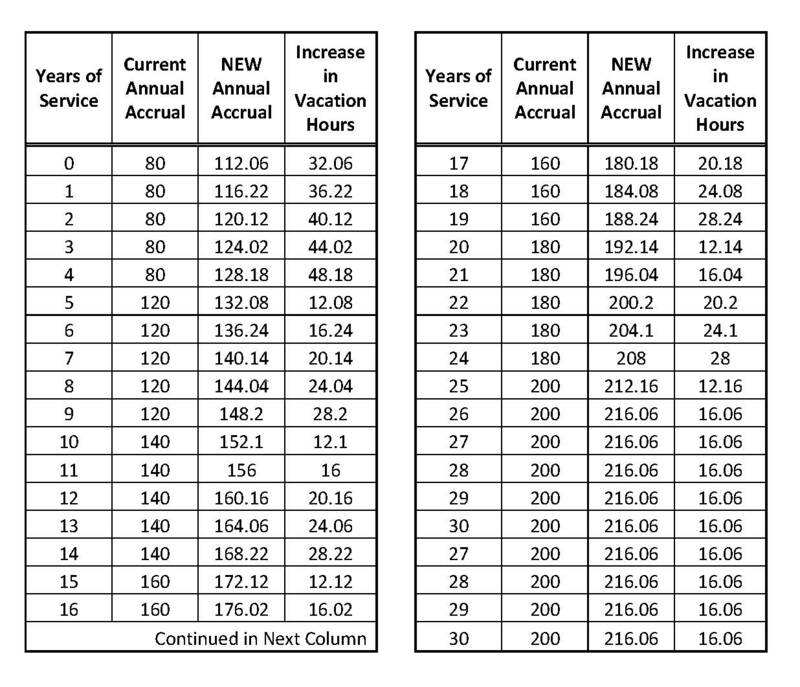 One of the issues we wanted to address in bargaining was the City’s vacation accrual rates. The City was lagging behind what other compared to other local government agencies. Although we were unable to win any substantive changes at the bargaining table, PTE secured an agreement to form a joint labor management committee to look at the City’s vacation benefits. After 8 months of meeting, we finally have an agreement. On July 18, 2018 City Council passed an ordinance increasing vacation accruals at the recommendation of City Unions. The new rates will become effective on January 1, 2019 for everyone except Fire Fighters and BOEC dispatchers, since they have different accrual rates than the rest of the City. Rest assured, we plan on increasing vacation rates for the hard working employees at BOEC too.